A mantra is a special chant, usually of Vedic origin, that by definition protects the person who chants it. Specifically, Vedic mantra-s with their unique structure and system of notation and rendition, generate positive vibrations within oneself and in the environment. 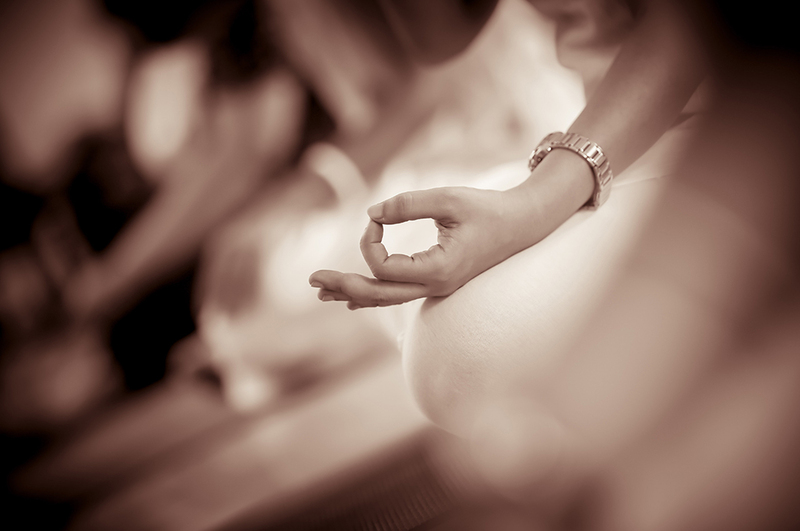 Further, mantra-s themselves offer a very potent object of meditation. Patanjali clearly emphasizes in the Yogasutra, “the process of svadhyaya, a profound introspection using sacred chants, offers us a vision of the highest Truth, albeit in myriad forms and hues”. T Krishnamacharya and TKV Desikachar have emphasized the use of sounds and mantra-s ranging from simple to complex, based on the need, belief system and capabilities of the individual. Hence, the use of healing chants finds a significant place in the KYM tradition of teaching. This two-week intensive focuses specifically on some mantra-s, their inherent potential in facilitating a meditative state of mind and their integration in practices of asana, pranayama and dhyanam. Arambhanam – Asana practices as preparation for disciplining the mind. Adhyayanam I – Lecture on mantra-s, their origin, significance and application in asana, pranayama and meditation. Samsilanam – Refinement of mind using Pranayama practice (integrating mantra). Svadhyayam – Chanting as meditation – (two sessions). Adhyayanam II – Theory session on the meaning of chants taught in the programme. Mantra-snanam – Immersive meditative practices integrating chants taught.